Some nonprofits have the resources to do some big real-estate deals. In Ojai, California, the nine-bedroom, five-fireplace, three-swimming-pool, 23,000-square-foot home of the late Larry Hagman, who starred as “J.R. Ewing” in Dallas, has been sold for $5 million to the nonprofit Social Betterment Properties International, though it had originally been listed for $6,495,000. The nonprofit paid cash. How does a nonprofit that hasn’t filed a Form 990 since 2007, a year when it reported no contributions, gifts, and grants and only $59,403 in 2006, fork over $5 million in cash for a Ventura County mansion that Hagman called “Heaven” – and for what purposes? We don’t quite know, except that the organization might now be a church rather than a 501(c)(3) nonprofit. SBPI was created as a real-estate acquisition, development, and management arm of the church of Scientology, the religion founded by science-fiction writer L. Ron Hubbard. SBPI’s 2003 990 states the tax-exempt purpose of the organization as to “acquire, develop, and maintain buildings and other real estate utilized by social betterment organizations carrying out programs that utilize technology and methods developed by L. Ron Hubbard and that are associated with and supported by the Scientology religion.” While churches are not prohibited from filing 990s, they are not required to do so. 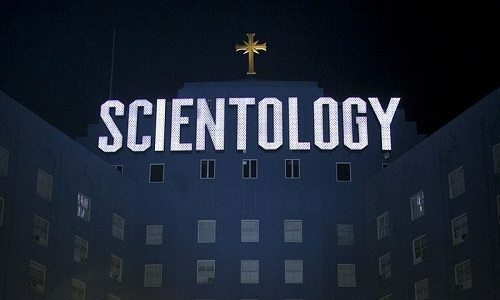 Wholly owned by the church of Scientology, SBPI appears to have opted out of the 990 filing process, denying the public access to this entity’s real-estate activities. Although the organization showed six- and seven-figure operating deficits in 2006 and 2007, because of its ownership of substantial real estate, as of 2007, SBPI had a fund balance of $41,243,376. As part of the Scientology Church’s empire, SBPI probably had access to substantial liquid assets to make this quick purchase regardless of what was presented in its now extremely dated Form 990s. Among SBPI’s real-estate holdings are facilities used as detox centers, which some in the press have described simply as places for drug detox and counseling, though – as with Narconon in Oklahoma – the detoxification that Scientology talks about is a process using Hubbard’s technology to rid people not only of drug usage, but many other kinds of behaviors that don’t fit the Scientology worldview and merit detoxification.